Danielle Park is president and portfolio manager for Venable Park Investment Counsel, Inc. Ms. Park worked as a litigator until 1997, when she was recruited to work for an international securities firm. She became a Chartered Financial Analyst (CFA), and now helps to manage many million dollars for more than 200 of North America's wealthiest families as a portfolio manager and analyst at Venable Park Investment Counsel, Inc., the independent investment counsel firm she co-founded. In recent years, Ms. Park has been writing, speaking, and educating industry professionals, as well as investors on the risks and realities of investment behaviours. 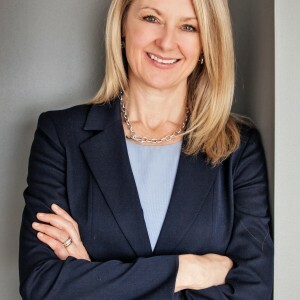 She is a member of the internationally recognized CFA Institute, Toronto Society of Financial Analysts, and the Law Society of Upper Canada.Ms. Park is a regular guest on North American media. She is the author of the best selling myth-busting book, Juggling Dynamite: An insider's wisdom about money management, markets, and wealth that lasts, as well as a popular daily financial blog by the same name.